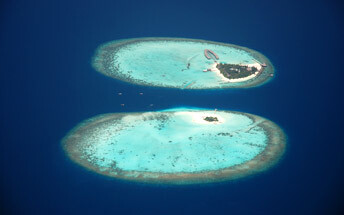 Find your tropical island paradise at the lagoon-facing Holiday Inn Resort Kandooma Maldives. Speedboats ferry you across the turquoise waters from Malé International Airport to our contemporary resort hotel in just 40 minutes. 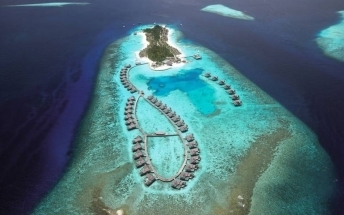 Slip into island life from the moment you arrive at Holiday Inn Resort Kandooma Maldives, with world-class South Malé Atoll diving and surfing on your doorstep. Our beach villas ooze style and boast luxury touches like outdoor showers and iPod docking stations. Grab a coffee and wood-fired pizza from the Bokkuraa Coffee Club beside our sparkling infinity pool, or unwind with a good book and views over the peaceful lagoon. You can indulge in a soothing Thai massage and beauty treatments in our Kandooma Spa, and book the Spa Suite’s private garden with plunge pool for a romantic afternoon. Learn to sail on a catamaran trip around the region’s sandbanks and take it easy with alcohol-free cocktails on a sunset cruise. 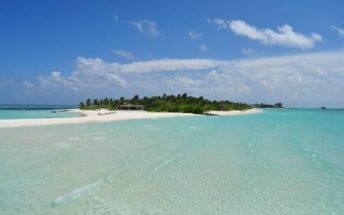 It’s just 5 minutes by boat from Holiday Inn Resort Kandooma Maldives for diving and snorkelling among colourful tropical fish on the reef. Face-painting and fun games keep the children entertained in our Kids’ Club, while parents unwind with a game of tennis or a workout in Holiday Inn Resort Kandooma Maldives’ gym. Top off a perfect day with a Maldivian seafood feast and breathtaking sunsets on the deck at The Kitchen restaurant.